Fair use is a limitation on someone's ability to assert copyright infringement. In court, it operates as a defense that an individual can assert if sued for infringement. Fair use can be found in 17 U.S.C. Section 107 (The Copyright Act). The preamble to fair use provides that reproduction of copyrighted works may be made for "purposes such as criticism, comment, news reporting, teaching (including multiple copies for classroom use), scholarship, or research . . ."
Fair use is an affirmative defense (in other words, a person can still be sued for copyright violations even if the use is almost certainly a fair one--since fair use is an affirmative defense, the burden is on the person making the copy (the user of the work) to justify the use as a fair use. In considering this factor, judges (courts) typically look to the purpose for which the user intends to use the work. If the purpose is for educational purposes or research purposes, that would weigh in favor of fair use. If the purpose, on the other hand, is to make a profit or for commercial gain, that would weigh against fair use. Importantly, courts also consider whether the use is a transformative one. A transformative use is one that alters the original work "with new expression, meaning or message..." Campbell v. Acuff-Rose Music, 510 U.S. 569, 579 (1994). Interestingly, since this interpretation of factor one was first introduced by the Supreme Court in 1994, courts have expanded its application to all of the other factors. In other words, the more transformative a work is, the less the "negative" weight of the other factors would impact the analysis. For instance, in the Google Books decision (see Author's Guild v. Google, Inc., 804 F.3d 202 (2015)), even though Google Books is a commercial enterprise (negative weight under factor 1), and was copying entire books (negative weight under factor 3), the fact that the "snippet" view used by Google Books was transformative made the use a fair one in the opinion of the Second Circuit Court of Appeals (note that this case was never decided at the Supreme Court level). The nature of the work refers to whether the work was published (more likely to be considered a fair use) or unpublished (less likely to be considered a fair use) as well as whether the work is factual/historical in nature (more likely to be a fair use) or highly creative (less likely to be a fair use). This factor considers how much of the protected work was taken. Did you make a copy of just a paragraph? Or did you copy an entire book? It is also important to consider the quality of the work taken, not just the quantity. For instance, courts take into account whether the "heart" of the work was taken, not just whether a substantial portion was reproduced. In this factor courts generally consider whether the use of the copyright protected work would replace the market for the original work. For instance, if I copied and pasted an entire book of the Harry Potter series online then individuals wishing to read the book would no longer have to purchase the book and the author of the book would be harmed. Thus, that would not be considered a fair use. However, if I wrote an essay, a piece of fan fiction using the names and likeness of the characters from Harry Potter but with a new plot, perhaps it would not easily replace the original and would not supplant the marketplace of the Harry Potter book sales (however, remember that derivative works are also under the control of the author, so if the new piece of fan fiction were not transformative enough, it likely would not be considered a fair use overall--remember that all factors, not just one, need to be weighed when considering fair use). There are many useful online tools to utilize in order to determine whether a particular use is a fair use. It is a good idea to document your fair use determination and keep it on file. Remember to make case-specific determinations, not global ones. For instance, instead of completing one fair use checklist for the use of 13 images in an article, complete 13 separate checklists and keep them on file. If you determine that the use is not a fair use, seek permission. The following charts are a visual representation of the balancing act that fair use entails. Adapted from Columbia University’s Fair Use Checklist, as well as the University of Minnesota’s Fair Use Analysis Tool and Fair Use Decision Map. 1. What is the character and purpose of the use? Educational use is much more likely to fall within the range of fair use. In general, courts are less likely to consider use fair if the use is for profit. 2. What is the nature of the material being used? This is a difficult one to grasp, but in general, published and factual works are more likely to be considered fair use cases than unpublished and fictional works. 3. How much of the work will be used? Reproduction of the entire work is rarely considered fair use. The use of a small, relevant portion is much safer, so long as that portion is not the heart of the work. 4. What effect will this have on the market for the original material? If your use stands in the way of potential sales for the creator or is easily available for a reasonable price, you should consider licensing rather than copying. If more of your answers fall towards the green end of the spectrum, your use has a better chance to be considered fair. Too many red answers signify a time when it is best to get permission. Frequently, researchers wish to utilize charts or graphs of factual data created by another author in their own research or publication. As noted on the Copyright Basics page, copyright protection does not extend to protect facts. The question, then, is whether copyright protection extends to the "arrangement" of facts as presented in charts and graphs. Generally speaking, if there is only one real way to present the data, whether it be a pie chart or a graph, the factual representation is not protected by copyright. Whereas, if there is some amount of creative expression involved in the arrangement of the factual information (for instance a painting depicting factual data gathered from daily temperature readings), then the arrangement of the data would be protected as a creative expression. For more information about one interpretation of whether the display of factual data is protected by copyright, see Copyrightability of Tables, Charts, and Graphs [pdf] by Bobby Glushko. 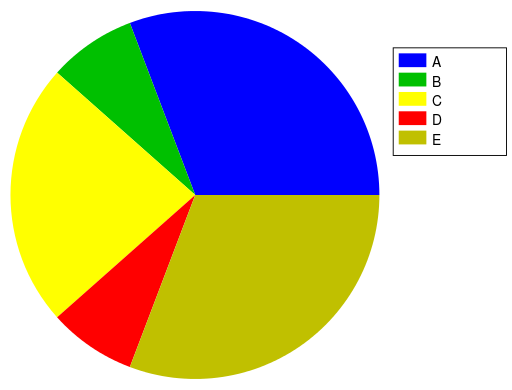 Innesw, Chart SVG Example 5 -Simple Pie Chart.svg, commons.wikimedia.org, CC-BY-SA 3.0. Regardless, it is a good idea to document, for your own records, your good faith attempt in determining whether a particular use of copyrighted material is/is not a fair use. A friendly and easy to use tool by Kenneth Crews and Dwayne Butler. This Fair Use Checklist can be printed and used to help you make a decision about your use of a work. It’s a good idea to use the checklist and save a copy for your records any time you have to make a decision about fair use. University of Minnesota’s Fair Use Analysis Tool is fairly easy to use for those just beginning to analyze fair use. A bit more in depth analysis for those who are more familiar with fair use. This info-graphic provides a summary of fair use principles.  Additionally, and as always, you may contact the Copyright Librarian, Sara Benson at srbenson@illinois.edu for additional assistance.